Here is a list of five reasons why you want HOLLY HOUSE to be your go-to source for your natural pharmacy needs. 1. Integrate your product usage with other therapies. One important opportunity that we provide you with is the opportunity to integrate a professional approach to your selection and use of therapeutic products with other aspects of your health care program. Your choice to purchase therapeutic products through us gives you the opportunity to access Dr. Pat’s advice on product selection (see selection support services below) in order to enhance the health related objectives that she is likely already working with you on. It also registers your product usage as a part of your health care record for future reference and analysis. Why separate your use of therapeutic products from other health care services that you come to HOLLY HOUSE for? Why not leverage the services that you are already purchasing by integrating your use of therapeutic products instead? When consuming natural substances, it is important to be sure that the products are manufactured with the highest level of quality for both safety and effectiveness. In the U.S., supplements and natural remedies are regulated as “dietary supplements” as opposed to “pharmaceutical drugs.” This means that manufacturers are largely free to set their own standards and procedures. As a result, the quality of supplements varies tremendously from one manufacturer to the next. Because of this, it’s important to purchase products only from companies that adhere to the highest standards regarding their ingredients, formulations, manufacturing processes, and quality assurance policies. Even if ingredients are of good quality, some brands of supplements contain certain types of fillers and additives that may be unhealthy. In addition, the types and doses of the ingredients may be combined in ways that are not ideal. In our office, we order products only from suppliers who demonstrate a consistently high quality standard in their manufacturing processes. These standards give our patients and us the confidence that the products we recommend have the highest standards of purity, potency, ease of absorption and overall effectiveness for producing health. The products on our shelves represent a continually evolving tried and true selection of some of our favorite products. They are an important complement to patient visits but you need not have a visit scheduled to shop them. We think that you will find this small but diverse stock to address many common needs for supplemental and herbal support. We are happy to help you select items from it during office hours. Click here for a list of product lines represented on our shelves. If you are interested in an item from one of the lines that we stock that you don’t see on the shelves and it is part of a line represented in one of our on line stores, chances are that you will be able to find it there. Otherwise, let us know and we will do our best to obtain it for you. Our on line stores contain the same lines that you will find on our in house shelves but, in each case, they contain the complete product line. So, the stores do not add product lines to what we have to offer but they do expand the depth of these product lines way beyond what we could fit in the clinic. If you are interested in an item from one of the product lines represented on line but you don’t see it on the shelves, chances are that you will be able to find it in the on line store. Click here for more information on the on line stores or access them through the sidebar. There is an extensive list of over one hundred additional professional product lines to which we can provide you access. Although we are less familiar with these other lines and we do not currently stock or promote them, we believe many may be good companies offering helpful products. If you are interested in any products from these companies, let us know. If you wish, Dr. Pat would be happy to review the literature on them and/or test your muscle response. If you decide that you would like to purchase them, we would be happy to obtain them for you at competitive market prices. Click here to review a list of these additional product lines. 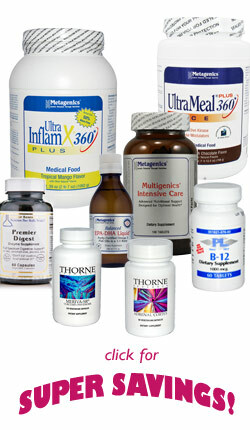 Nutritional consultations represent our highest level of product selection support. 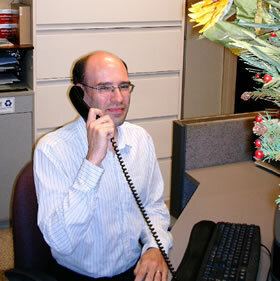 They allow you to ask Dr. Pat to take an in depth and focused view of your health and supplementation program. After assessing your situation, she will present you with a product plan. Normally, it is a good idea for you to repeat this process every six months or more frequently if you are on a specific therapeutic program. Dr. Pat is pleased to make herself available as time permits between patient appointments during office hours to respond to product related questions that might benefit from a quick answer. If you like, she can also test your muscle response to an item. The on line stores currently offer our most comprehensive set of self help nutrition resources.They represent several sets of well organized, easily accessed, and professionally produced educational materials in the following formats: product literature, research documents, position papers, case studies, faqs, webinars, and videos. We welcome you to use them as much as you wish. High quality costs more than low quality. HOLLY HOUSE prices its products competitively. If you see one of our products listed locally for less, let us know and we will do our best to match it.